Get in touch today to find out more or receive a free, no obligation quotation. 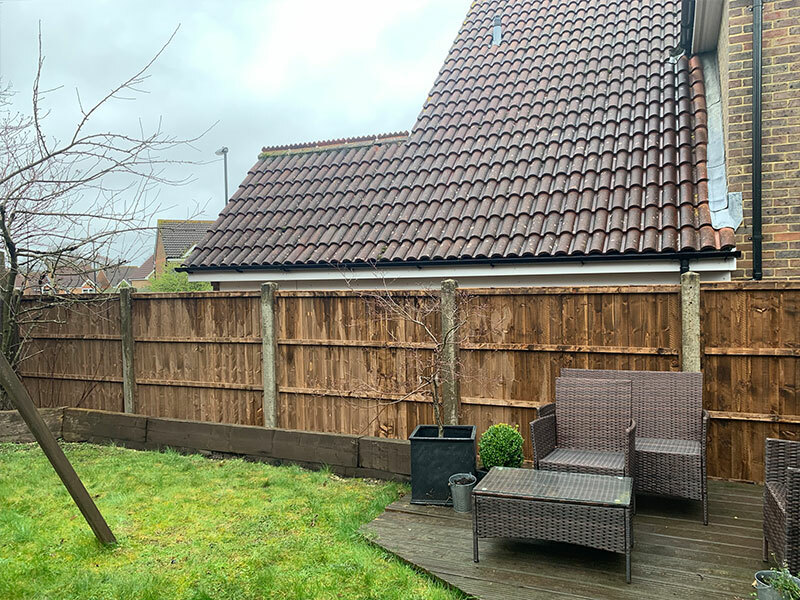 Featheredge Fencing, also known as post and rail fencing is commonly used across residential and commercial properties. Featheredge is built from three arris rails with feather boards nailed to the rails individually. It’s possible to combine the featheredge with either concrete or wooden posts and gravel boards. The typical height of a featheredge fence is 1.8m (6ft) but it’s possible to go to 6ft 6in. By having concrete rather than wooden gravel boards and posts you can expect another 10-20 years from your fence. 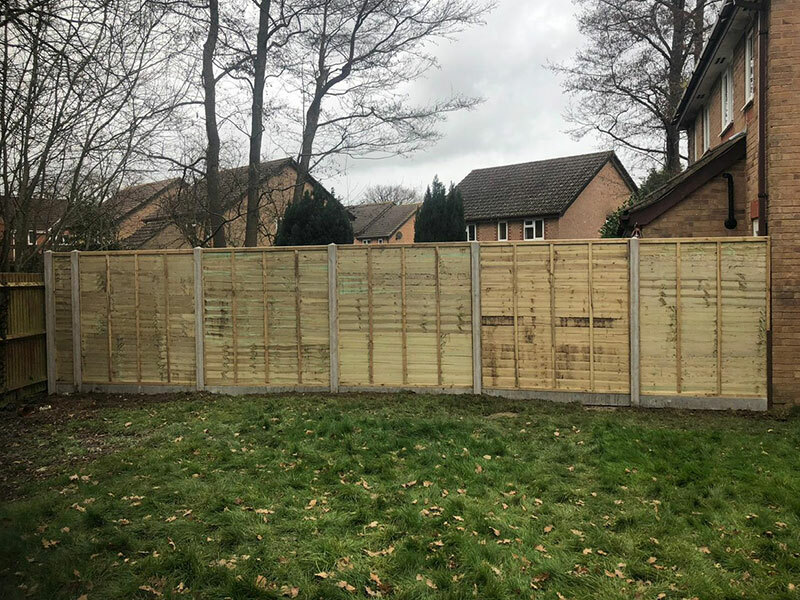 Closeboard panels are 6ft wide and resemble the same appearance as the featheredge fencing – This is a slightly cheaper alternative to the featheredge and can be used if you have H posts and are looking to replace larch lap panels. They have three bits of beading on the back holding the panel together. Closeboard panels also come in different heights and are available in 4ft, 5ft and 6ft. Typically 4ft is used for fencing around the front of your property surrounding the driveway or garden and 6ft is used at the back garden. 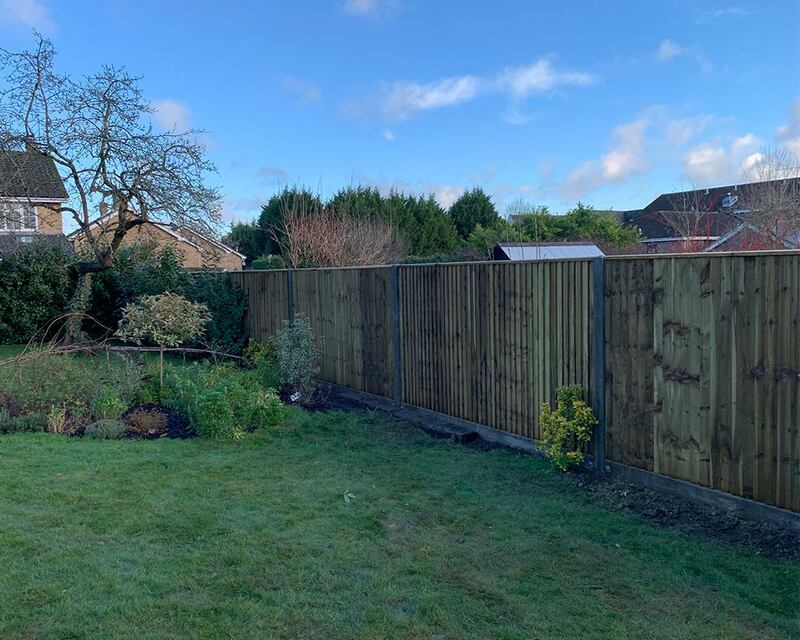 Larch lap fencing is commonly used across housing estates around Sussex & Surrey – It’s the cheapest form of fencing and consists of screwing each panel to the corresponding post which would normally sit on the gravel board. Larch lap panels come in both green and brown treated, however we would always recommend the green treated panels. Follow Us On Social Media For our latest jobs and company news and updates.